With acquisition of ISELFA and technical collaboration with WISE, our Group is qualified to design & manufacture fittings up to 1200 kV EHV Transmission Lines. 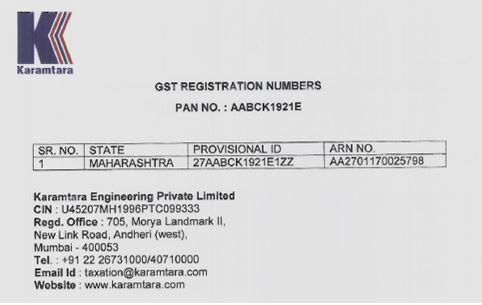 In 2011 Karamtara acquired 100% capital of Iselfa Morsetteria S.r.l., an Italian Company which is engaged in the business of Hardware Fittings for last over 75 years and is qualified with most of the Electricity Boards/ Utilities across the world. Iselfa has a legacy of over 75 years, known for its competence in design, testing, innovation, excellence in manufacturing and delivery performance. Its supply of these fittings in over 45 countries is testimony of customer's confidence in its quality. Iselfa has supplied fittings for lines up to 1000 kV. It has the ability to design and promptly supply fittings at competitive prices. Most of the designs have been successfully type tested in laboratories of international repute in close coordination with renowned consultants and institutions. At the heart of its success lies a reliable supply chain, highly experienced and talented manpower, state-of-the-art internal infrastructure and urge to achieve more all the time. ISELFA is the pioneer in business of Hardware Fittings. They started Hardware Fittings business in 1970 and thus are more than 40 years old in this product portfolio. ISELFA has successfully executed projects of High Voltage (345 kV, 400 kV, 500 kV and experimental lines of 1000 kV) in more than 40 countries. Geographical Presence: ISELFA has supplied Hardware Fittings for projects in various countries across different continents. Click here to download ISELFA supplies for Vibration Dampers. ISELFA supplies in more than 40 countries. Click here to view them. Click here to download the list of plant & machinery.